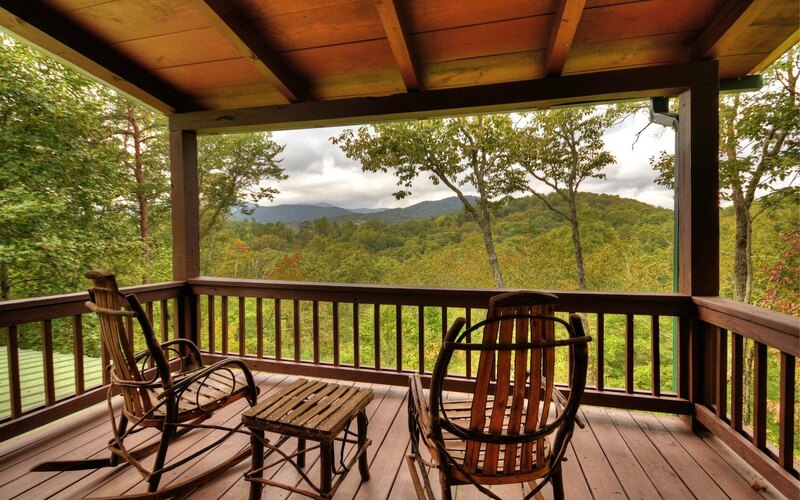 Take your breath away mountain views!! 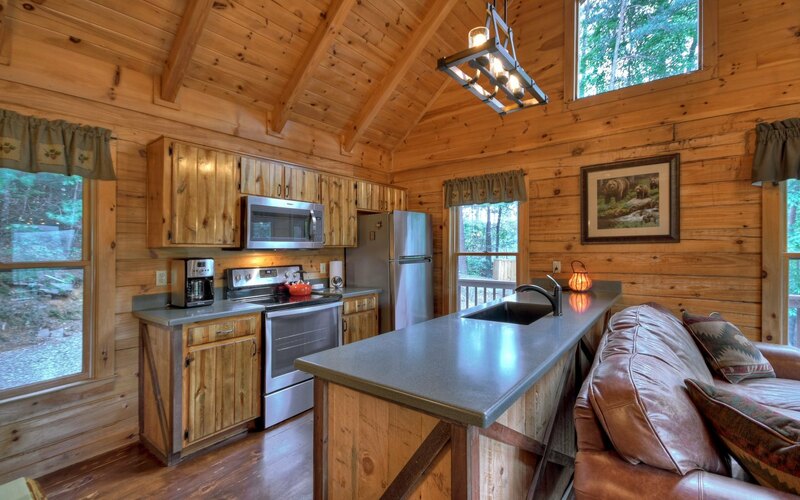 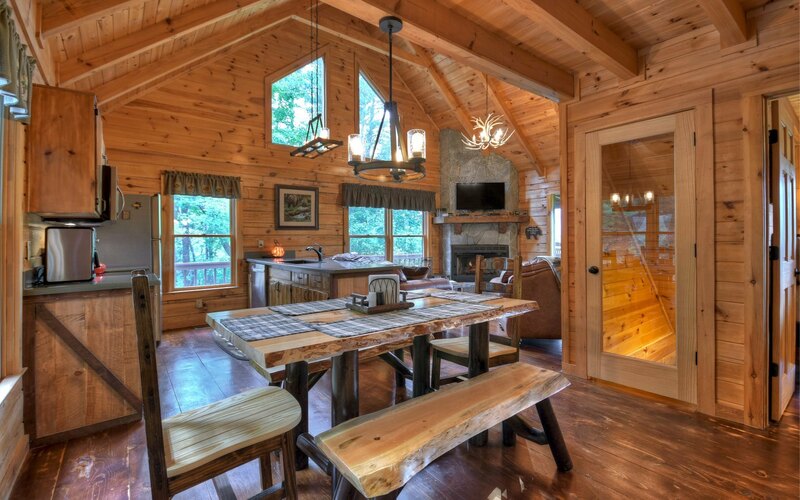 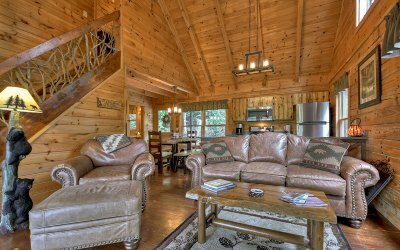 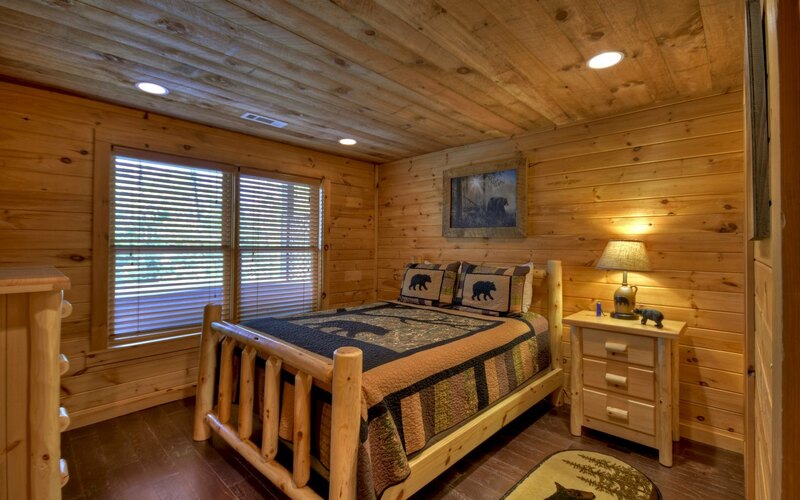 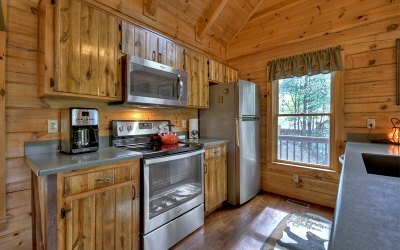 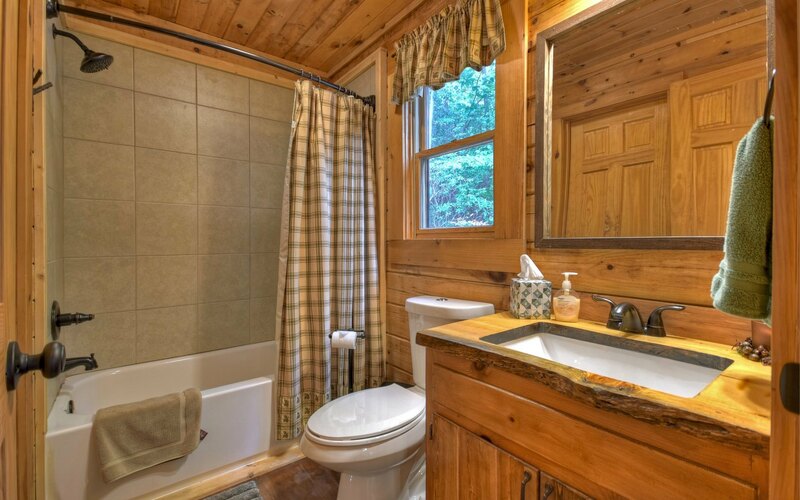 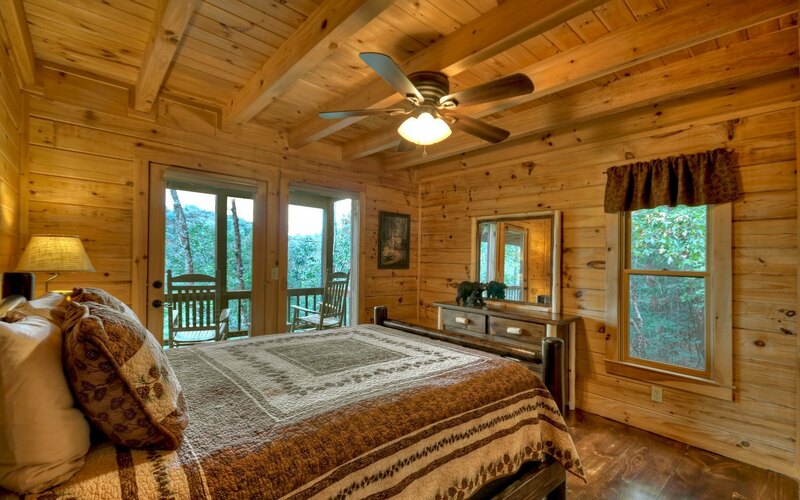 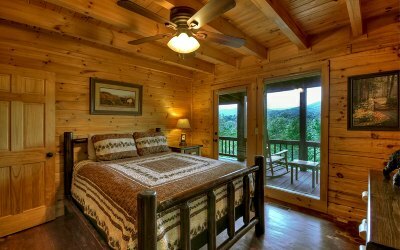 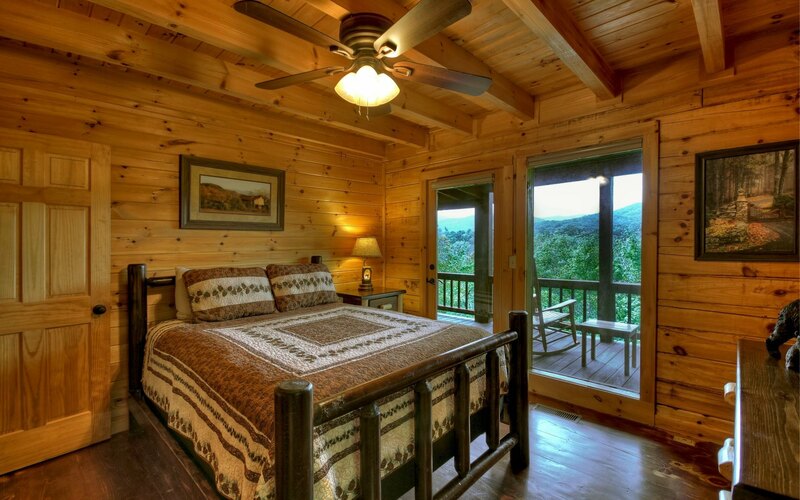 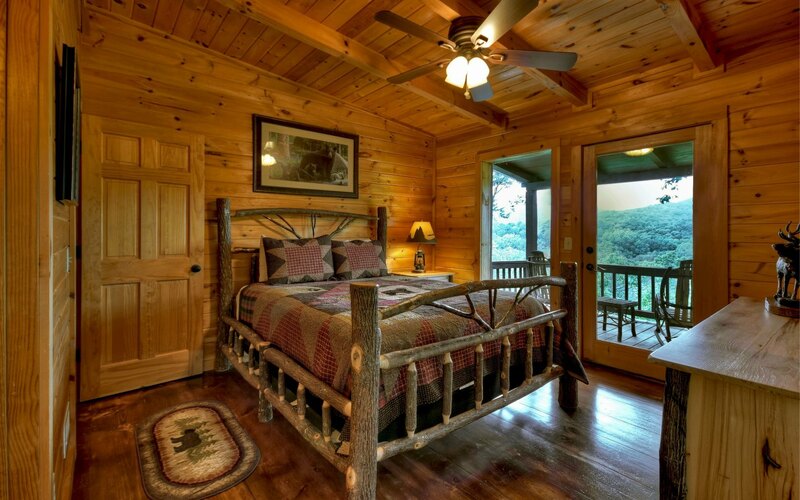 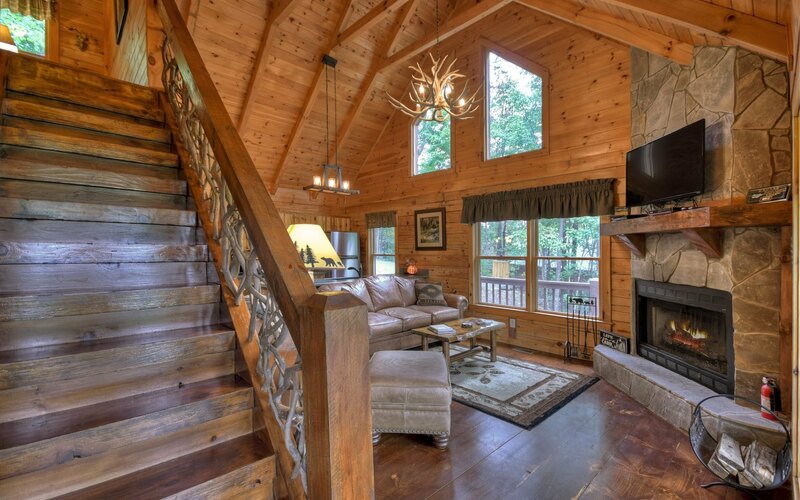 Immaculate 3/3 bath real log cabin nestled perfectly in the sought after Cashes Valley. 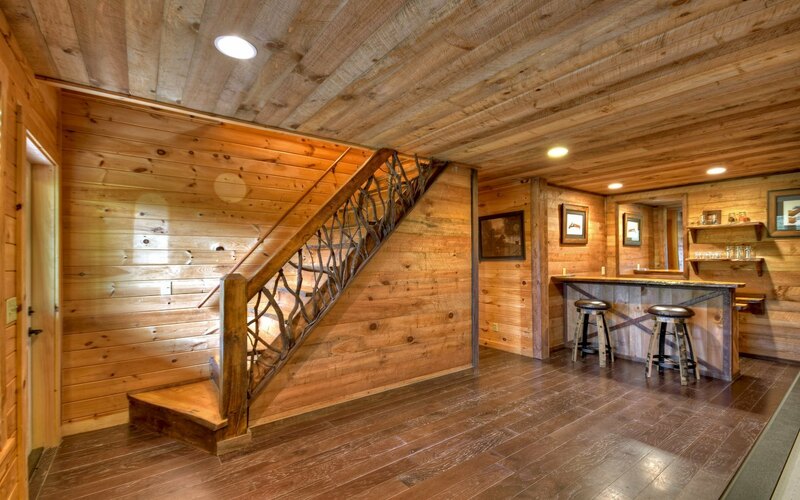 Gorgeous wide plank hard wood floors throughout. Open kitchen feature stainless appliances & solid surface countertops. 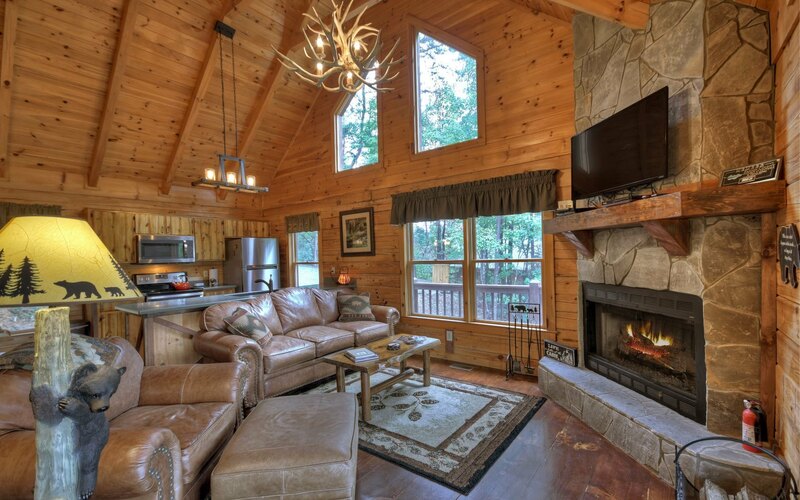 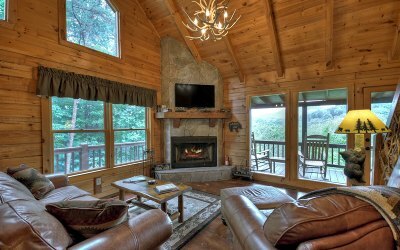 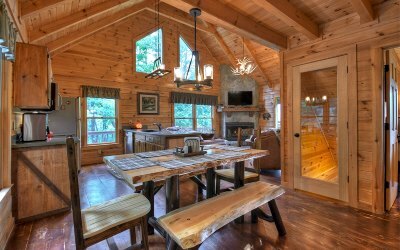 Cozy & inviting great room w/ a wood burning, floor to ceiling stone fireplace. 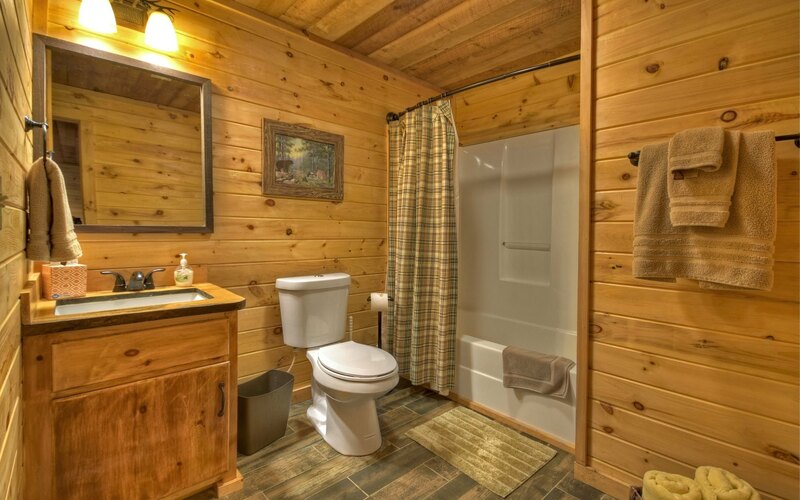 Bedroom & full bath w/ wood counter tops & tile surround tub round out the main level. 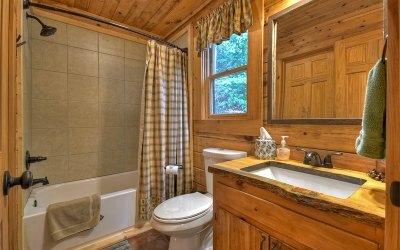 Travel upstairs to the spacious loft & private master suite featuring double vanities, tile surround tub & an amazing covered porch w/ million dollar views! 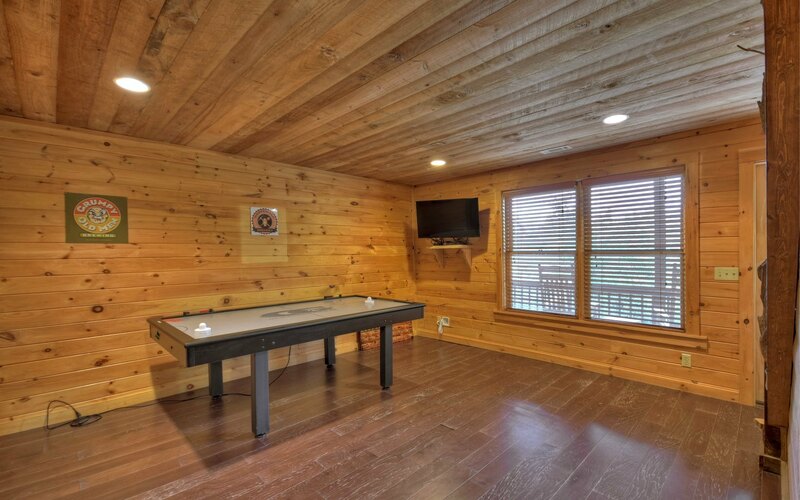 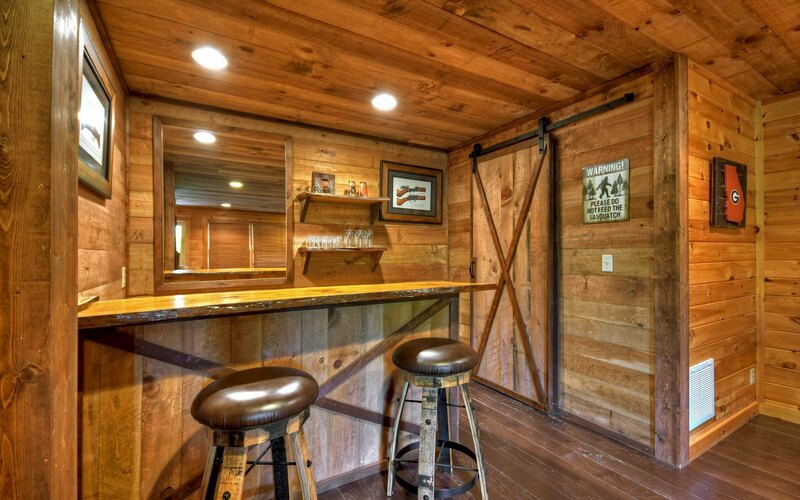 Terrace level features a game area, custom bar, 3rd bedroom & 3rd full bath. 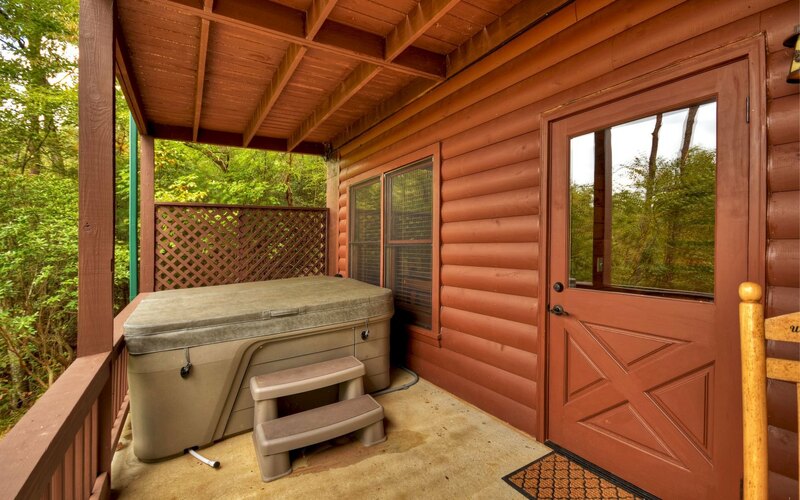 3 levels of covered porches, including a hot tub on the lower deck perfect for outdoor living! 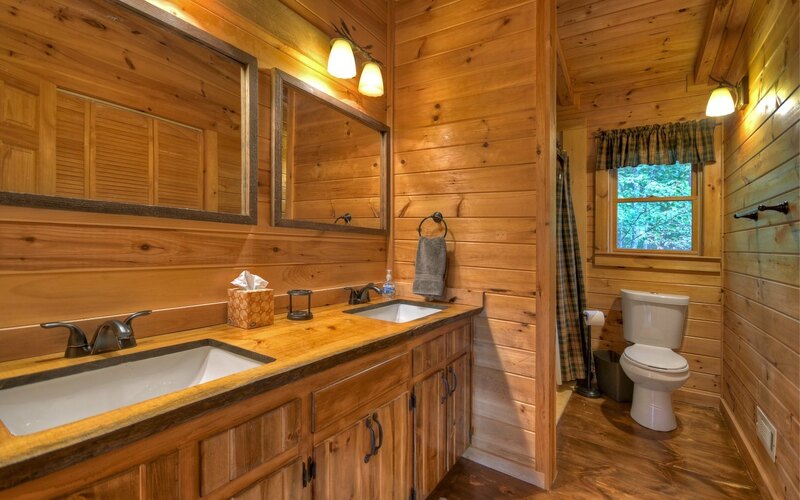 Fly fisherman take note, VERY close to Fighting Town creek. 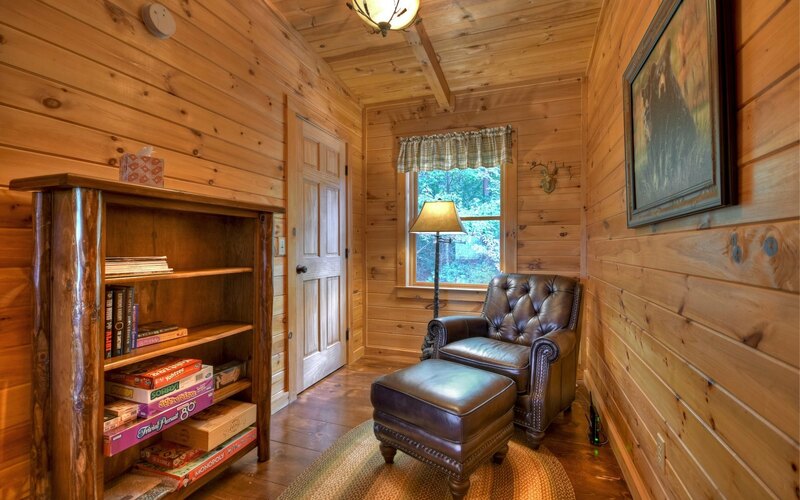 Successful rental program & furniture package negotiable.